(MissionNewswire) Accra, the capital and largest city of Ghana, is located on the Gulf of Guinea and home to 2.27 million people. The Greater Accra Metropolitan Area has about 4 million inhabitants, which makes it the 11th largest metro area in Africa. Salesian missionaries have two centers in the urban area in addition to centers in Sunyani, the first place Salesian missionaries launched programs more than 25 years ago, and a new center in Tatale. In Accra’s metropolitan area of Ashaiman, Salesian missionaries provide a technical school that offers study in the five professional fields of electrical, IT, electronic, solar energy and accounting. More than 700 students attend the three-year courses, at the end of which about half enroll in university. Established 20 years ago, the school is now considered the best technical school in the metropolitan area of Accra. The second Salesian center is a home for children and older youth who have been victims of child trafficking. Currently, the Salesian house has 51 children from the ages of 7 to 16. Often, they are known as “wheelbarrow boys,” children of extremely poor families with many children who work as unskilled workers pushing and carrying diverse materials with carts and wheelbarrows. Other youth come from the gold and diamond mines, where they are utilized because they are small and move about easily. 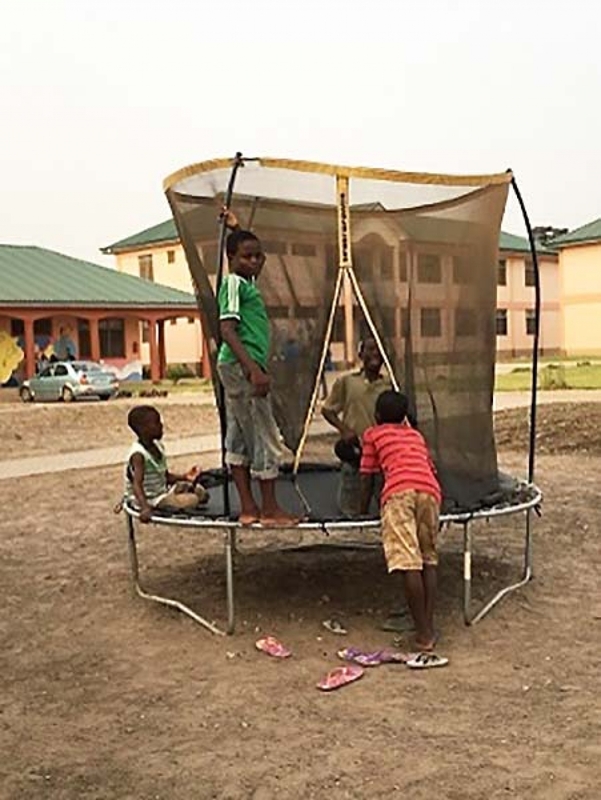 The first Salesian missionaries in the country arrived in 1992 in Sunyani and soon became known for their educational work, especially for at-risk children and victims of trafficking. Children face extensive hardships from being exploited in child labor to being sold by their relatives, often to pay off some debt. In the Lake Volta region, it is estimated that there are approximately 21,000 children and teen laborers who have been prevented from attending school. Academic classes are offered in the morning, after which students are able to participate in group activities with their peers such as theater, music, dance, sports and games. Through the program, participants learn life skills, gain confidence and prepare for a happy, healthy future.